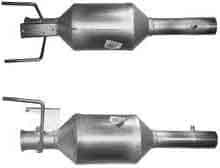 Most diesel vans and commercial vehicles now come fitted with a DPF (Diesel Particulate Filter) from 2006. 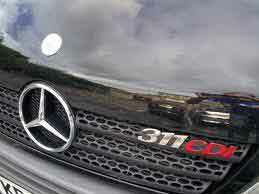 The Mercedes Sprinter 311 Series (both the 2.2CDi and 3.0CDi) have the DPF system fitted. For some van drivers it’s okay, a lot of these are used on long motorway runs quite frequently so it’s not much of a problem until it reaches the service life of the DPF (yes, they have a service life) and that’s when the shock comes from the replacement Diesel Particulate Filter bill – they’re not cheap to replace and could cost up to £3000! Owners of commercial vehicles like the Mercedes Sprinter need a good balance of reliability and economy. A Mercedes Sprinter DPF system requires you to do frequent long trips (preferably motorway miles) to help aid the cleaning process of the filter – also known as regeneration and if you’re not using your van for long trips, then this is adding not only mileage to the vehicle with added wear to other components but also burning a lot of diesel. Why Has My Mercedes Sprinter 311 CDi DPF Blocked Up? There are many reasons why the Mercedes Sprinter DPF system can get blocked up, we’ve seen 2010 model Mercedes Sprinters (311 CDi) come in to our workshop with less than 40,000 miles and the DPF was almost completely blocked up. Below are some of the main reasons why the DPF system will block up quickly on a Mercedes Sprinter. Even if you do daily motorway mileage, use the correct grade of oil, service the vehicle regularly and use high quality diesel i.e. Shell V-Power Diesel – there is still no guarantees and eventually the DPF will block up and require replacing or removal. The root problem is the design of the DPF system. On the Mercedes Sprinter the DPF (Diesel Particulate Filter) is located in the centre of the exhaust, after a large catalytic converter. The DPF system requires very high exhaust gas temperatures to achieve successful regeneration and aid the cleaning of the DPF brick. EGT’s (Exhaust Gas Temperatures) are at their highest as they exit from the turbocharger and the further down the exhaust they travel, the more heat is lost. Before even reaching the DPF, they have to travel half way down the exhaust and through a large catalytic converter – only then they can reach the DPF, in which time you can expect the EGT’s (Exhaust Gas Temperatures) to drop by around 200c. Once the Mercedes Sprinter DPF has blocked up and failed to regenerate, the DPF warning light and/or flashing coil light and engine light will not go out without having the ECU reset by a mercedes dealership whilst carrying out a “forced regeneration” – normally at the cost of around £250.00 +VAT. However, each time you attempt to regenerate the filter, you will be damaging critical elements of the filter which would normally aid it to self-clean. This means that each time you regenerate the filter, you are further decreasing the life expectancy of the DPF and can expect it to block up again sooner than you may think. Below are some of the most common problems when the DPF fails on a Mercedes Sprinter. How Will SINSPEED Remove My Mercedes Sprinter DPF? When your Mercedes Sprinter arrives at our workshop, we will begin by making notes of the fault codes stored on the ECU. We then delete the codes and download the ECU map files to begin manually deleting all the DPF file structures and de-activating the DPF Regeneration system. We offer a CUSTOM DPF Removal session, not using any type of automated software in the process – this will eliminate any possibilities of encountering problems as many people will experience when using mobile tuners. Whilst the software is being manipulated, we simultaneously remove the exhaust from the vehicle and physically remove the diesel particulate filter from the exhaust system and carry out a full and thorough visual inspection of all related mechanical components of the vehicle to ensure there are no other faults and bring you peace of mind that when your vehicle leaves our workshop, there will be no other faults and if there are, we can notify you and quote you accordingly – Yes, we do carry out general mechanical repairs & we’re very cost-effective! We then go ahead and program the engine ECU with your new Custom DPF Removal Software and carry out a FREE Smoke-Correction service to ensure the vehicle won’t smoke and it will continue to pass an MOT – This is our guarantee and something that currently NO other company in the UK can offer! What Can I Expect After My Mercedes Sprinter DPF Is Removed? After having the DPF removed from your Mercedes Sprinter, you will not experience any error messages and the car will not go into LIMP mode. Also, you will never experience any Regeneration messages where the ECU normally attempts to clean the DPF – this is because the DPF is no longer existing. A new DPF (Diesel Particulate Filter) for the Mercedes Sprinter ranges from £900.00 – £1500.00 (+Labour & VAT). We can remove the entire DPF for a fraction of this cost and you’ll never have to worry about it ever again. A DPF Removal programming session and ECU Remap are slightly different, the ECU remapping session is more targeted towards power/fuel economy gains whereas the DPF removal session is aimed at resolving DPF issues. We offer Mercedes Sprinter ECU Remapping sessions if this is what you would be interested in. It can be combined with our Mercedes Sprinter DPF Removal service as well. Tags : Help With Mercedes Sprinter 2.2CDTi / 3.0CDTi (311) Dpf Problems, How To Remove Mercedes Sprinter 2.2CDTi / 3.0CDTi (311) Dpf, How To Remove Mercedes Sprinter 2.2CDTi / 3.0CDTi (311) Fap Dpf, Mercedes Sprinter 2.2CDTi / 3.0CDTi (311) De-dpf, Mercedes Sprinter 2.2CDTi / 3.0CDTi (311) Dpf Failure Help, Mercedes Sprinter 2.2CDTi / 3.0CDTi (311) Dpf Fixed, Mercedes Sprinter 2.2CDTi / 3.0CDTi (311) Dpf Help, Mercedes Sprinter 2.2CDTi / 3.0CDTi (311) Dpf Off, Mercedes Sprinter 2.2CDTi / 3.0CDTi (311) Dpf Problems, Mercedes Sprinter 2.2CDTi / 3.0CDTi (311) Dpf Regen, Mercedes Sprinter 2.2CDTi / 3.0CDTi (311) Dpf Regeneration, Mercedes Sprinter 2.2CDTi / 3.0CDTi (311) Dpf Removal Mot, Mercedes Sprinter 2.2CDTi / 3.0CDTi (311) Dpf Removal Remap, Mercedes Sprinter 2.2CDTi / 3.0CDTi (311) Dpf Removal Solution, Mercedes Sprinter 2.2CDTi / 3.0CDTi (311) Dpf Solution, Mercedes Sprinter 2.2CDTi / 3.0CDTi (311) Fap Dpf Fix, Mercedes Sprinter 2.2CDTi / 3.0CDTi (311) Fap Dpf Help, Mercedes Sprinter 2.2CDTi / 3.0CDTi (311) Fap Dpf Problems, Mercedes Sprinter 2.2CDTi / 3.0CDTi (311) Fap Dpf Removal Help, Mercedes Sprinter 2.2CDTi / 3.0CDTi (311) Fap Dpf Removal Procedure, Mercedes Sprinter 2.2CDTi / 3.0CDTi (311) Fap Dpf Removal Session, Mercedes Sprinter 2.2CDTi / 3.0CDTi (311) Fap Dpf Solutions, Removing Mercedes Sprinter 2.2CDTi / 3.0CDTi (311) Dpf, Replacement Dpf For Mercedes Sprinter 2.2CDTi / 3.0CDTi (311). ← Jaguar X-Type DPF Removal Breakthrough!! Do you have a branch in the US ? Currently not but we will be looking to expand if we have any interest from garages and dealerships in the US that want to become a part of our extended network. Okay so for the EGR related faults, check is the fault electronic or mechanical fault with the EGR? If the fault is electronic then you may need to remove or replace the EGR valve to keep the vehicle running properly. If the fault is mechanical then you may be able to clean the EGR valve but also check the turbocharger to see if it is leaking oil into the EGR which is causing problems for you maybe. I would recommend you have the vehicle diagnosed by a local technician to see what fault codes are being stored in the ECU’s and go from there. There are many components and situations which can cause this type of problem and without proper diagnostics it would be hard to suggest which direction to look in first. With a fault code present it will help us identify which areas to look towards. Hi my 311 sprinter smokes on idle not all the time but when you come to a halt at the lights of roundabout, I have replaced the turbo and air flow meter, I have done an injector leak off test and am at my witts end I have the vehicle regenerated but this smoking feels like a fuel issue something somewhere is telling the van to add more fuel at a stop, can you advise me if you’ve ever come across this as part of a DPF issue, can you look at or re programme ecu? This is common when the DPF is poorly removed and poorly programmed (continuous Post-Cycle injection). Check your DPF system to ensure all sensors are connected and working, no leaks in the exhaust and if the oil level is high then replace oil and reset service counters. Also check the EGR to ensure the valve is not stuck in one position. If the problem persists feel free to come back to us. I have A 2008 Vito 3.0 CDI V6 which i bought Recently and Has had dPF removed and is smoking on idle of unburnt fuel- hopefully you can fix this out for me? I have sent a message through website. Thanks! We’ve sent you an email with pricing and information. Thanx a million times Jason for your excellent advice on DPF issues. I have the same problems on 2010 plate with high milage. It has all the symptoms you mentioned regarding DPF failure. Ounce again Thank you and GOD BLESS. I have just sent over an email now for further information regarding a DPF Removal service for your Mercedes Sprinter. Just got a message up on my dashboard . How much will this cost to fix &how long does it take? Doesn’t take long at all, we can complete a DPF Removal on the Mercedes Sprinter in as little as 3-4 hours. We’ve sent over an email with full pricing and information. Please can you send me pricing and location details for your DPF removal for a sprinter Luton van. We’ve sent you an email with full pricing and information. We will need your postal code to confirm a location so please respond to the email with your postal code. We’ve sent an email to you with full pricing and information for the DPF + EGR delete services. We also offer performance and economy tuning service as well if you’re interested, full information in the email. We can complete a DPF Removal on the Mercedes Sprinter in as little as 3-4 hours. We’ve sent over an email with full pricing and information.